Welcome to The Dockyard, Spinningfields. The Dockyard is a rustic ale house with a relaxed dining operation that offers simple, quick and tasty breakfast, lunch and dinner menus. Since launching in 2015, The Dockyard has become the life and soul of Leftbank. 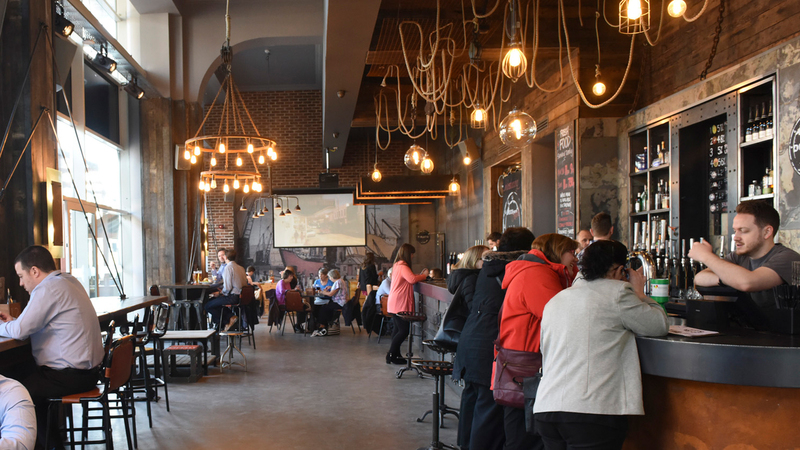 With a real passion for beer, The Dockyard offers an unrivalled selection of craft ales, beers and ciders from all over the world. Their guys and girls are passionate and know their stuff so whether you’re looking for a particular style of beer, wine or even one of Dockyard’s signature “Docktails” – you’re going to get the best service and the best drink to suit you. The menu features old favourites such as The Dockyard Mac Burger as well as mouth-watering Southern-American style dishes including Foot long hotdogs and the exclusive Tennessee-inspired PapaKayJoe. The Dockyard is the best place to enjoy summer with live music, pub quizzes, meet the brewer events and much more.